Remembering Jackie Manson | Remembering Jackie Manson | De Soto Obituary Search | Dietrich-Mothershead Funeral Home, Inc. Remembering Jackie Manson | De Soto Obituary Search | Dietrich-Mothershead Funeral Home, Inc.
Jackie Lee Manson was born a son to Leonard P. and Virginia (nee Waters) Manson on April 1, 1941 in St. Louis, MO. 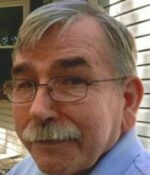 He died at his Hillsboro residence on February 28, 2016 at the age of 74. He is survived by his wife of 54 years Linda (nee Parker) Manson; three children: Jackie Keith Manson, Hillsboro, Michelle (Greg) Chilton, De Soto, and Scott (Brenda) Manson, De Soto; eight grandchildren, three great-grandchildren, four sisters: Jane Rohr, Mt. Vernon, IL, Rosemary Kemp, Oklahoma, Nancy Heck, Mt. Vernon, IL, and Cindy Berger, Mt. Vernon, IL; and one brother Harry Manson, FL. He is preceded in death by his parents; one sister: Sandra Berger; and three brothers: Leonard Manson, Larry Manson, and David Manson. He was a floor installer and member of the Carpenters Union Local #1310 and the First Free Will Baptist Church. He had an extensive knowledge of coins and was a coin collector. Bro. 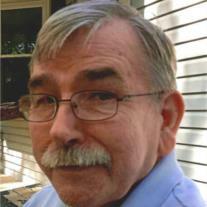 Bob Thebeau will officiate the funeral service.